contact Us page on the site and email us your order along with your contact information. The Circle of Excellence program was developed by the OABA’s Excellence Committee to raise the level of safety and quality in the mobile amusement industry. This voluntary assessment program concentrates on five operations areas: ride safety, personnel, game concessions, food service and transportation. 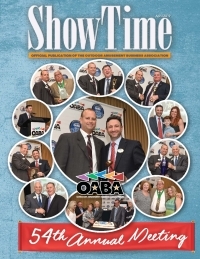 The OABA members who achieve the Circle of Excellence status are highly sought after by fairs and events looking for a reliable and responsible midway partner. Any carnival, independent ride owner or concession owner may elect to participate in the Circle of Excellence Quality Assessment. For more information or to schedule your Quality Assessment, contact Jeff Smith, Audit Coordinator at 407.925.9615. Members can find additional information on the Circle of Excellence Quality Assessment Program in our Member’s Only section. The Children’s Ride Safety Education Program was developed by Patty Sullivan, CEO of Eli Bridge Corporation. It is a user friendly, easy to follow, presentation for young people ages 6-12 in grades K-6. It is a great program to use in addition with the OABA Safe Fun at the Carnival video.